All electrical and electronic products that we offer come with two years (24 months) warranty (excluding additives / cleaning solutions). Items bought on a company VAT number have a warranty period of 12 months according to Belgian law. This warranty covers repair or complete replacement of the defective item. Repair or replacement is made at our discretion. If the delivered product does not meet the agreement it will be completed by us, or at our discretion, decided to repair or replace the product supplied. To use the warranty, you need to ship the item to us, with the original invoice and filled in RMA document, stating your complaint or defect. The shipping cost during or after the warranty period is always at the customer's expense. Please contact us before returning an item. Your warranty does not cover damage caused by misuse, improper maintenance, improper use, damage to (over)heating by heat sources or exposing an article to excessive moisture, heat, cold or drought, or if the item is repaired or actions are performed by unauthorized people, or if the articles are used for purposes other than which they were designed for, or damages arising from fire, lightning, natural disasters and so on. This warranty does also not cover parts that need to be repaired or replaced in accordance with generally accepted wear. We are not liable for any damages to you or a third party by use of a product delivered by us. Nor are direct or indirect costs or damages caused by not functioning of an article, recoverable. Returning an item, how does it work? Contact Trad4u by mail and explain the problem or defect. Our customer service will analyze your request and determine if the return can be accepted with the conditions laid down (see warranty). If the return has been accepted, you will receive an RMA document and RMA number. After this the item can be send back to us. Returns without RMA number or explicit permission (via email) of Trad4u will be refused by us. If an item is under warranty, and the defect is due to a design fault, then you are entitled to the repair of your device. If the item is unrepairable it will be replaced by an identical item, or similar item at least, at our expense and returned to you. Shipping the device to our service center is always at the expense of the sender. The cleaned unit with all supplied accessories and parts. The original and undamaged packaging including protection material. The purchase invoice and filled in RMA document. You have a cooling off period of 7 calendar days, commencing on the day after receipt of your order. During the cooling-off period you are entitled to inspect the items ordered on quality and performance, for example by checking whether the article complies with the description. If during the cooling period the articles are used, and are damaged or if the articles show signs of wear, so we can't sell them again "as new", after you sent it back to us, we cannot accept this return. If you want to use the cooling-off period, then the delivered items must be shipped back to us, undamaged, with all supplied accessories and in original packaging, along with a copy of the invoice and filled in RMA document, within 14 calendar days after receipt of the articles . Please contact us before returning an item, we will provide an RMA document and number. Transport is always at the customer's expense and risk. If you no longer have the original and unopened packaging in which we have sent the articles (including protective items such as air cushions, foam sheets, etc...), the articles are not eligible for return. Also, used or damaged items, for wich no damage has been reported by you upon at the time of delivery cannot be returned. Any complaints about deliveries must be made within 7 calendar days after receipt of the articles and should be submitted in writing. The delivered goods remain our property until fully paid. We negotiated good prices and conditions with our courier due to the large amount of shipments each day. Delivery cost indicated INCLUDES insurance! We do not charge extra for multiple items in one shipment, provided the total does not exceed 30kg. The shipping cost for orders over 30kg will be automatically adjusted during checkout. Free pickup at our warehouse in Belgium. All products offered in our WebShop can be picked up at our address. Contact us to make an appointment for free pickup of your delivery. We collect information from you when you register on our site or fill out a form. When ordering or registering on our site, as appropriate, you may be asked to enter your: name, e-mail address or mailing address. You may, however, visit our site anonymously. This website is operated by Trad4u. Throughout the site, the terms “we”, “us” and “our” refer to Trad4u. Trad4u offers this website, including all information, tools and services available from this site to you, the user, conditioned upon your acceptance of all terms, conditions, policies and notices stated here. A breach or violation of any of the Terms will result in an immediate termination of your Service. This site may contain certain historical information. Historical information may not be current and is provided for your reference only. We reserve the right to modify the contents of this site at any time, but we have no obligation to update any information on our site. You agree that it is your responsibility to monitor changes to our site. If, you send certain specific submissions (for example, contest entries) or without a request from us you send creative ideas, suggestions, proposals, plans, or other materials, whether online, by email, by postal mail, or otherwise (collectively, 'comments'), you agree that we may, at any time, without restriction, edit, copy, publish, distribute, translate and otherwise use in any medium any comments that you forward to us. We are and shall be under no obligation (1) to maintain any comments in confidence; (2) to pay compensation for any comments; or (3) to respond to any comments. YOU EXPRESSLY AGREE THAT YOUR USE OF, OR INABILITY TO USE, OUR SERVICE IS AT YOUR OWN RISK. 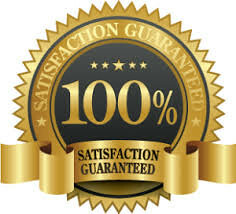 THE SERVICE AND ALL PRODUCTS AND SERVICES SOLD TO YOU THROUGH THIS SITE ARE (EXCEPT AS EXPRESSLY STATED HEREIN) PROVIDED ‘AS-IS’ AND ‘WITH ALL FAULTS’, WITHOUT ANY REPRESENTATIONS, WARRANTIES OR CONDITIONS OF ANY KIND, EITHER EXPRESS OR IMPLIED, INCLUDING BUT NOT LIMITED TO ALL IMPLIED WARRANTS OR CONDITIONS OF MERCHANTABILITY, MERCHANTABLE QUALITY, FITNESS FOR A PARTICULAR PURPOSES, DURABILITY AND NON-INFRINGEMENT. IN NO CASE SHALL Trad4u, OUR DIRECTORS, OFFICERS, EMPLOYEES, AFFILIATE, AGENTS, CONTRACTORS, INTERNS, SUPPLIERS, SERVICE PROVIDERS OR LICENSORS BE LIABLE FOR ANY INJURY, LOSS, CLAIM OR ANY DIRECT, INDIRECT, INCIDENTAL, PUNITIVE, SPECIAL OR CONSEQUENTIAL DAMAGES OF ANY KIND, INCLUDING, WITHOUT LIMITATION, LOST PROFITS, LOST REVENUES, LOST SAVINGS, LOSS OF DATA, REPLACEMENT COSTS, OR ANY SIMILAR DAMAGES, WHETHER BASED ON CONTRACTOR, TORT (INCLUDING NEGLIGENCE), STRICT LIABLIITY OR OTHERWISE, ARISING FROM YOUR USE OF THE SERVICE OR ANY PRODUCTS PROCURED USING THE SERVICE, OR FOR ANY OTHER CLAIM RELATED IN ANY WAY TO YOUR USE OF THE SERVICE OR ANY PRODUCT, INCLUDING, BUT NOT LIMITED TO, ANY ERRORS OR OMISSIONS IN ANY CONTENT, OR ANY LOSS OR DAMAGE OF ANY KIND INCURRED AS A RESULT OF THE USE OF THE SERVICE OR PRODUCT, EVEN IF ADVISED OF THEIR POSSIBILITY. Because some states or jurisdictions do not allow the exclusion or the limitation of liability for consequential or incidental damages, in such states or jurisdictions, our liability shall be limited to the maximum extent permitted by law. You agree to indemnify, defend and hold harmless Trad4u and our parent, subsidiaries, affiliates, partners, officers, directors, agents, contractors, licensors, service providers, subcontractors, suppliers, interns and employees, harmless from any claim or demand, including reasonable attorneys’ fees, made by any third-party due to or arising out of your breach of these Terms of Service or the documents they incorporate by reference, or your violation of any law or the rights of a third party. If in our sole judgment you fail, or we suspect that you have failed, to comply with any term or provision of these Terms of Service, we also may terminate this agreement at any time without notice and you will remain liable for any orders previously processed; and/or accordingly may deny you access to our Services (or any part thereof).